Education is the basis of our way of learning, acting and working. Understand aspects of the Chinese school system that highly impact working culture and behaviour of todays China. 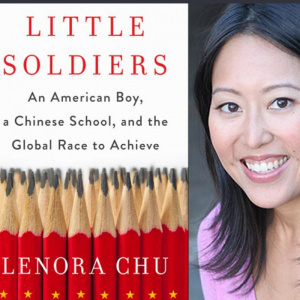 Leonora Chu, author of best seller "Little Soldiers - An American Boy, A Chinese School and the Global Race to Achieve" will share and discuss this topic based on her research, personal experiences and insights. Price: 210, includes 2 drinks, canapees and THE BOOK!! No show policy: Please note that you have to cancel your reservation at least 24 hours in advance to receive a refund. After that there will be no refund.